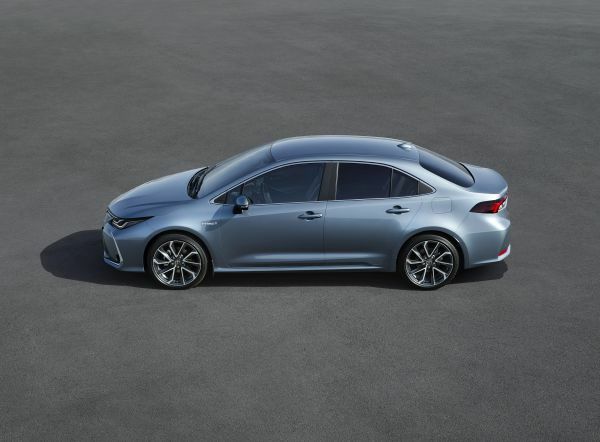 Following the reveal of the Hatchback at the 2018 Geneva motor show and the Touring Sports at the Paris show later in the year, the Sedan is the third body type to join the 12th generation Corolla model line-up. 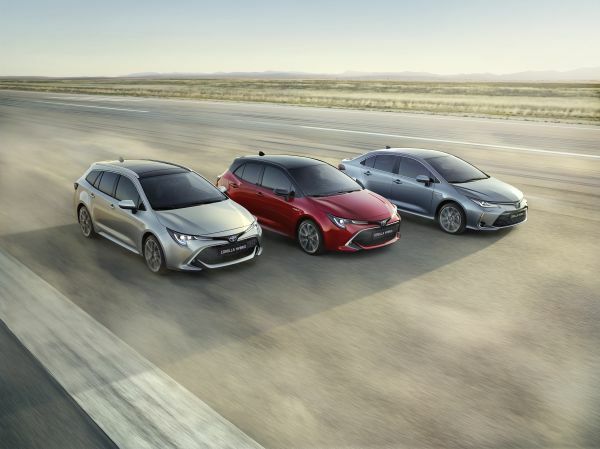 The new Corolla family is designed to fulfil differing customer needs: from the compact Hatchback for young couples, to the versatile Touring Sports for families, and the comfortable Sedan aimed at young professionals looking for more prestigious styling combined with superior on-board space and comfort. Globally renowned, the Corolla has sold more than 46 million units in over 150 countries since its introduction in 1966. Building on the sleek and dynamic design that characterises the new Corolla model line-up, the new Sedan features the same wide and low stance inherent in the Toyota New Global Architecture (TNGA) GA-C platform. However, its own individuality within the Corolla family is reflected in a more prestigious exterior design with unique front and rear styling. To the front, Toyota's Under Priority Catamaran design philosophy has been further evolved. A more striking, two-step execution of the fender front corners flank the powerfully projecting lower grille, a common design theme of the new Corolla family. The slim upper grille has a three-dimensional design and connects with the top of the sharply designed headlamps, wrapping around the corners to emphasise the car’s low and firmly planted appearance. The rear design mimics the frontal execution through the dynamic shape of the bumper and the inversed trapezoid design of the trunk lid. The sedan-specific rear lamp clusters are connected through a chrome ornamentation, further highlighting the model’s wide stance. The Sedan shares the same spacious, ergonomically excellent cabin as that of the Hatchback and Touring Sports, hallmarked by its high sensory quality and advanced technology. The Sedan also benefits from the same extended 2,700 mm wheelbase as the Touring Sports, ensuring ample legroom and high comfort levels for rear seat passengers. Technological highlights within the premium quality interior include numerous comfort and convenience features such as wireless phone charging, and the intuitive, easy to use combination of an 8-inch multimedia touch screen, a 7-inch multi-information display and a 10-inch head-up display. In addition to the design freedom which allows for a greater distinction between Sedan, Hatchback and Touring Sports models than ever before, the newly adopted GA-C platform also guarantees a more rewarding driving experience. A lower centre of gravity, a 60% more rigid body shell and multi-link suspension fitted as standard all contribute to better handling and stability without compromising ride and comfort. The new Corolla Sedan will be available with a choice of two powertrains. The 1.8 litre self-charging hybrid system develops 90 kW/122 DIN hp. It fulfils all the requirements that customers have come to expect from a Toyota self-charging hybrid powertrain –quiet, intuitive, responsive and self-sufficient EV technology with no need for plug-in recharging. It offers low cost of ownership, outstanding fuel economy of only 3.4 l/100 km1 (WLTP 4.3 l/100 km) and CO2 emissions of only 77 g/km1 (WLTP 98 g/km), while offering up to 50%2 all-electric drive on the everyday commute. The improved 1.6 litre petrol engine combines responsiveness with efficiency. Available with either a six-speed manual transmission or a CVT gearbox, it delivers a total output of 97 kW/132 DIN hp, while fuel consumption is as low as 5.8 l/100 km1 (WLTP 6.1 l/100 km) and emissions are as low as 131 g/km1 (WLTP 139 g/km). All TNGA-based vehicles prioritise the highest active and passive safety standards. And, fitted as standard with the sophisticated functions and systems of the latest Toyota Safety Sense technology, the new Corolla Sedan is no exception. The new Toyota Safety Sense active safety package includes a Pre-Collision System (PCS) with pedestrian detection during both day and night time, and cyclists detection in daylight hours, a full range Adaptive Cruise Control (ACC), Lane Departure Alert (LDA) with steering assist, Road Sign Assist (RSA) and Automatic High Beam (AHB). In addition, it introduces a new Lane Trace Assist (LTA) system for advanced driving support. When the full range ACC and LTA are active, the latter assists the driver in steering control with subtle inputs to keep the vehicle in the lane, even on gentle highway bends. Produced at Toyota Motor Manufacturing Turkey, the European specification Corolla Sedan goes on sale in the first quarter of 2019.